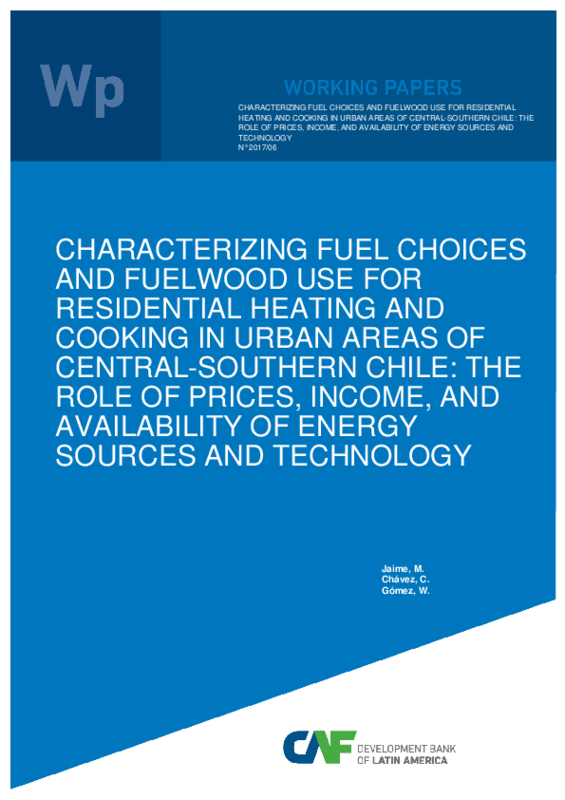 By using information from a sample of 2,761 households in nine urban areas, we first investigate households’ choices of the main fuel used for heating by means of multinomial models. Then we examine the intensity of fuelwood use through fractional probit models; these models allow analyzing interdependence of fuel use by households while taking account of households’ individual heterogeneity. Results indicate that households’ fuel choices are mainly driven by monetary incentives such as income and fuel prices. In contrast, while there is a component of fuelwood use that cannot be influenced by energy policies such as meteorological conditions across the country, there is a number of characteristics that influence the share households’ energy production that is generated by fuelwood. Factors range from socioeconomic characteristics to households’ perceptions regarding the link between air pollution and use of fuelwood in the county of residence. The knowledge of these factors brings an opportunity for the design of future policy interventions aimed at incentivizing the adoption of cleaner devices.